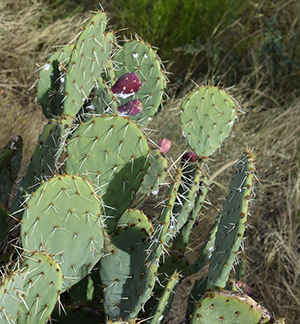 When I first saw that cottony appearing fuzz on prickly pear cactus, I thought it was a fungus. Surprisingly, it’s an insect harvested for the carmine acid in its body to deter predators. The Aztecs used the dye back in the day and it was spread to Spain when Central America was conquered. During the colonial period, the dye was the second-most valued export after silver party due to the fact that Mexico had a monopoly on the red dye. The other countries were not happy they did not have their own source of the cochineal although madder was also used to make red. 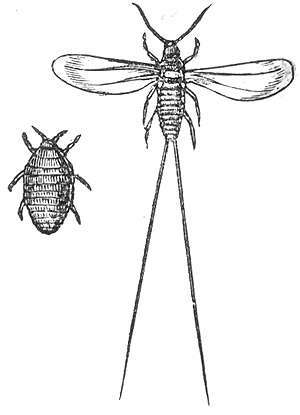 Nicolas-Joseph Thiéry de Menonville from France smuggled some of the insects out with some prickley pear pads to Saint Domingue, a french colony. They died out. Britain, loving their scarlet coats, tried in Australia. The insects died out but the cactus did very well — too well, taking over 100,000 square miles of Easter Australia. They solved the problem by importing a South American moth that feeds on the cactus. When Mexico won their independence in 1821, Spain set up shop in Guatemela, Canary Islands, Spain and North Africa. In 1868, Germans Carl Graebe and Carl Liebermann created the created the first synthetic dye based on the Alizarin component in the madder eye. This killed the large-scale natural cochineal dye industry for about a century and a half because the labor-intensive of hard-harvesting the cochineal insects could not compete with the mass production of the synthetic dyes. 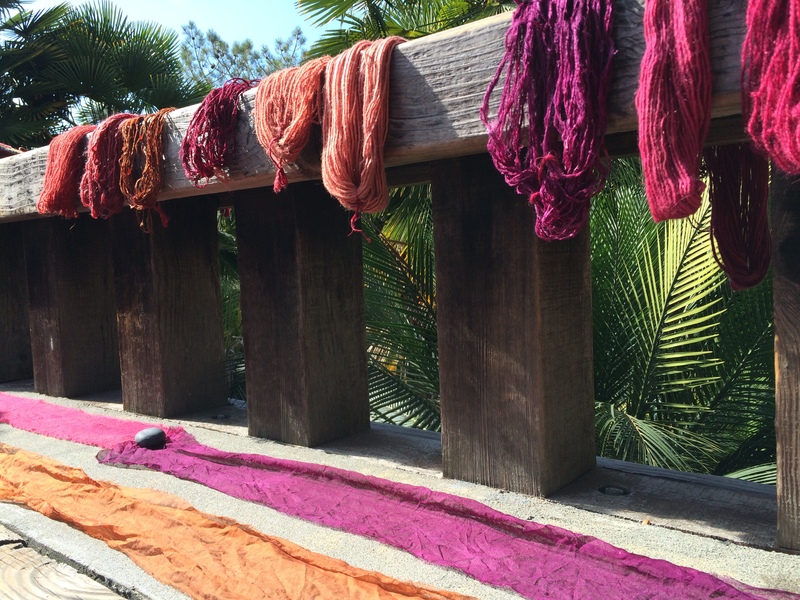 For a time, mostly artists and artisans used it who favored traditional/natural methods of dyeing. Because some synthetic red dyes have been found to be carcinogenic, cochineal is now being used widely as a food dye and in makeup. Couple of things sent me walking looking for nature, finding the cochineal. Pvcann wrote a nice piece “My way to silence” of a meditative walk in his desert, the Australian Bush. The second thing was Chèvrefeuille extorting us to write a nature haiku, “Nature is the best teacher we can have” in Along the Road. Behind my home is a large wash. 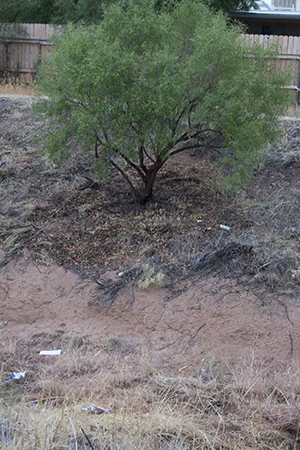 In an area with more rainfall, a wash might be called a river or a stream but here in the Southwest it’s a gully that is filled with water rarely, once or twice a year. They are particularly dangerous during flash flood season. Cactus, brush and trees have grown in the wash especially near the top rim and upper edges. I imagine the flash floods clear out any growth along the bottom and lower sides so the faster growing brush and weeds abound there. Occasionally the city goes through and hacks stuff down — maybe to prevent fires? It gets pretty dry here. On each side of the wash, an alley runs behind suburban homes. This is my bit of nature. My meditative bliss comes with my camera (something I had forgotten for a long time). When I have a camera in my hand, I pay attention to what is around here and the buzzing in my head quiets. There is nothing but what there is now in front of me (geez, look at all the plastic caught on the brush. Must have blown back into the wash. Definitely not biodegradable). That’s when I saw the cochineal on the prickly pear. (photo with fruit is from September, the first time I’d walk back there as an adult. It used to be my short cut to school decades ago when there were no houses on the other side).